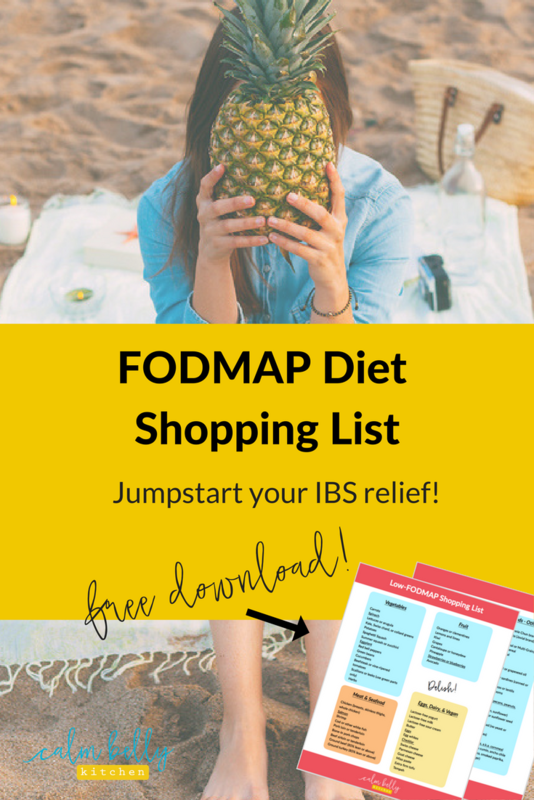 Get your FREE FODMAP Diet Shopping List! Start relieving IBS symptoms with the FODMAP Diet. Reducing certain carbs (a.k.a. FODMAPs) has been proven to reduce digestive woes. Get your shopping list now!